One of the easiest “technologies” to keep your information and computer safe is properly configuring the security settings on your web browser. Most people leave the settings at default because it’s convenient, but not taking those extra couple of minutes now can mean many costly hours (or weeks) later if your information gets compromised. Below are some setting suggestions and how to complete them on the most common browsers. Settings may vary based on browser version, and we recommend always updating your browser to the most current version to ensure the most recent patches and security features are applied. Information security is a complex and constantly changing field that individuals at every level of the organization need to keep pace with in order to keep RIT information resources secure. 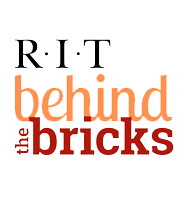 RIT offers the following education training and awareness programs to assist everyone from end user to system administrators to keep current with information security trends. The GCCIS Department of Computing Security provides a variety of information security courses at the graduate and undergraduate level.